The number of times I hear this expression each day, each week, each month – that’s what isn’t fair. I’m not sure about you, but my university courses never assured me that I would have the same opportunities as my peers or that I could even have a career in this industry. Your mileage may vary. Yet, every day, someone somewhere feels entitled to something that their producer/director/stage manager/wardrobe supervisor/etc. feels they shouldn’t have. Why is it that this industry is unfair, anyways? Let’s talk about a law that you’ll never break for as long as you live on this planet. Gravity. Since before recorded history, the (then undiscovered) laws of gravity ensure that what goes up does always come down, whether it’s a failed attempt at forcefully ejecting a capsule from gravity’s reach into outer space, or just that roll of gaff that you’re passing up to the single-man lift. Fairness, on the other hand, isn’t a constant on any planet that we are aware of. There have never been laws of fairness. Yet we constantly decry conspiracies by the universe, which plots against us to break these so-called laws that should ensure that we have the things we feel we deserve. Fair isn’t a law. The Fair is where you get cotton candy. You know, that place where livestock are paraded around in hopes of pretty ribbons and where vendors provide ample opportunities for you to exchange money for sugary or fried goodness or play games in hopes of winning your own pretty ribbon (or stuffed animal). That’s the Fair. The time has come for us to get on the same page regarding fairness. It’s not a real thing. I present to you the following Modern Laws of Fairness – a combination of the dynamics that make up this industry that we call home, and the secrets that govern your level of satisfaction within those dynamics, whether you have previously understood them or not. To fully illustrate the Law of Individual Needs, we must look at large examples and then focus in on smaller ones. Bette Midler made $200,000 per week for Hello Dolly! on Broadway while her cast and crew made AEA and IATSE standard rates that were 100 times lower each week. Was it fair? As the Law of Individual Needs dictates, the producers offered contracts to dancers and featured performers and crew members based on historical rates for cast and crew members on Broadway. Wagering that they would have the best outcome with a star vehicle, the producers set their sights on Ms. Midler. Bette Midler doesn’t live with flatmates in some crappy apartment in New York, and she doesn’t have a Metro pass and ride the subway to work. She doesn’t shop at Target and she likely doesn’t sustain herself with ramen noodles. The success of her career has brought her both a much higher standard of living, and a greater understanding of the value of her own brand (and how it will help the producers make money). What Bette needs is what Bette needs. And what you need is what you need. Give unto Bette what is Bette’s, to paraphrase the expression. It’s easy to get caught up in the appearance of disparity and cry “that’s not fair!” on behalf of people making $2,500-3,500 a week when the star is making $200,000 a week. It is paramount, however, to remember that pool of money which fuels your production, and how everyone’s wages must fit within it. Sure, the producers could’ve passed everyone an extra $1,000 a week, and said “Sorry Bette, it’s $150K or bust. We have to be fair.” But then they wouldn’t have gotten their star, and they wouldn’t have made money, and none of those people would have jobs. Make sense? Similarly, yes, if you’re a crew member, technicians who have been working 20 years longer than you are likely to make more than you. Get over it or go get some more cotton candy from that Fair. Improve your worth by expanding your knowledge or your resume. Work your way up with a producer and show loyalty, and you, too, can earn more over the years. But whining because someone makes more than you is ignorant at best, and entirely disrespectful to the experience of others at worst. You’re better than that. Our separate needs combine to form a number in a show’s weekly operating budget that the producers can stomach or not stomach and make decisions accordingly. Important Note: What we are not talking about here is a gender pay gap. We are talking about individuals with individual needs. Gender pay differences are an abomination of their own, but do not preclude that we must each make separate amounts. Look forward to my future article on crushing that patriarchy, but for the moment, let’s continue with the task at hand. Each producer has things they do well, and things they do less well, in regard to wages, benefits, travel, housing, per diem, etc. Your current contract cannot be a culmination of all the good things from every previous contract combined. Imagine approaching your landlord and saying, “my old apartment had a giant window and a crystal chandelier over the staircase” and telling them that they should provide that in the apartment they are renting to you. It’s ludicrous, right? The Law of Impossible Culmination says yes. Look here: You get exactly one shot at getting anything you want, which is when you negotiate your contract with the producers (often via a General Manager, Production Manager or Technical Director). During this one and only negotiation, you can ask for quite literally anything you want, and the producers can then decide if they feel you are worth what you are asking, whether it be wages, business class flights (I know a lot of producers who fly economy), or having a unicorn deliver your per diem in a 24K gold envelope each week (good luck!). The problem seems to be that many of you have signed contracts agreeing to things that make you downright miserable, whether you felt you had no bargaining chip in the negotiation, or because you thought it would be somehow better than the contract promised. And then you show up to productions, just like mine, complaining about how eight past employers did it better. If that’s true, why aren’t you still working for them? Ah, that’s right – they either have no work for you right now (it happens), or they had other things that you didn’t like (lower wages, for instance) which led you to where you are now. So, let’s be clear: Negotiate hard with the producers, sign a deal you can live with, and then GET HAPPY about the project and the contract. Not following this advice can lead to disastrous results or just turn you into someone that the producers don’t want to hire down the road. Now – if you did negotiate something and it isn’t being delivered; that’s a different issue altogether. Call your agent if your work was secured by an agent. Otherwise, send an email to the GM/CM/Producer (as you see fit) and politely point out that your contract specifies a certain benefit that you are not receiving. Most producers are keenly aware of contract law and their legal obligations. In most cases, you’ll see results. The more you strive to be equal to someone else, the more unsatisfied you will be. Don’t let this law be as controversial as it sounds at face value. Let’s look deeper. Equality has never been a great endgame. If we all had the exact same house and car, the exact same looks, the exact same skills… do you get the picture? It’d be pretty boring, that’s for sure. It’s easy to look at wages alone and say that we want equality. But equality would mean that people with 30 years’ experience get paid the same as 30 days’ experience – in other words, equal is not the same as fair. Instead of striving for equality, strive for personal satisfaction. What will satisfy you? Have you ever stopped to give some in-depth consideration to this question? What would it take to satisfy you in your career? This is the direction in which your ship should sail. As mentioned previously, we all have different needs (and add to that different desires). Have a hard look at what really does it for you, and push hard in that specific direction; whether it’s about positions of leadership, being able to raise a family, getting off the road, or yes, indeed, higher wages. But be sure it’s driven by your deep desires and not by some misguided idea that we should all be equal. We’re not. Nor should we be. Just like Morpheus explained in that dojo in The Matrix, some of the laws of modern fairness can be bent. Others can be broken. It’s important for you to figure out when that can happen. For instance, you may be able to negotiate “favoured nations” status on certain benefits like accommodation or per diems. In this case, it may be possible to break the Law of Individual Needs. Perhaps you don’t need a certain benefit, but because of your keen negotiating skills, you’ve gotten accommodation on par with the star of the show. Excellent! Discussed profit sharing with a producer? Similar outcome. Great work! Enjoy the benefit of your work in negotiating like a pro. Congrats! If there is any misunderstanding in the entertainment industry, it’s the old adage that “the squeaky wheel gets the grease.” In other words, that complaining might be annoying, but it produces results. Well, sort of. It produces limited results at a cost. Whining about your hotel room may get you an upgraded hotel room (perhaps), so it’s easy to say that the ends justify the means. The trouble is that you haven’t accounted for whether your value to the company justifies putting up with all the whining. Let’s just say that you should be sure that your whining never reaches a point where it makes you unpalatable for future work with the company – that’s a form of self-sabotage that leaves people wondering why they don’t work with that company anymore (and are often oblivious to the reason). In the end, success in this industry is about putting yourself out there for producers to find and negotiating progressively better deals as your experience and skills broaden. Some deals will be more enjoyable and/or more rewarding than others. That’s show business (and don’t you dare forget that it’s a business). The key to personal success in this business is understanding that fairness is of little relevance… unless, of course, your goal is to be the one selling the cotton candy. Cotton Candy. 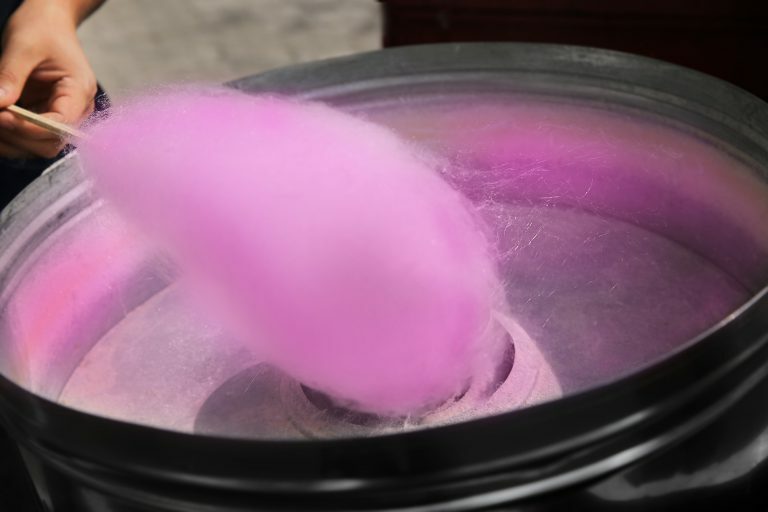 Fairy Floss. Candy Floss. It comes by many names internationally. In strange relation to this article, the whispy sugary threads first sold in a box at the 1904 World’s Fair in St. Louis (and originally called Fairy Floss) cost half the price of admission to the entire Fair. Talk about fairness. They sold 65,000 boxes. Good for them! Why is this the case? Because the producers are spending money in a gamble that they will return that money and then return a profit over that amount. If the show is selling out, and you don’t get a raise, that’s not unfair – that’s normal! That’s your producer winning on that wager. And if you try to collectively mutiny for a wage increase, effectively neutralizing the gamble, they’ll just stop producing, and you’ll be left looking for work. There must be a potential upside for producers, else no one would go through the insanity required to be a producer. So negotiate hard, get happy with your contract, and go to work! This amount conceivably makes her the highest paid performer in Broadway history. Gender pay gap? Yeah, unfortunately, it’s still a thing. But here’s some positive news: a female is the highest paid performer in our industry. That’s excellent news. Go girl! And if you find yourself making less than someone who could conceivably be considered your twin within the industry (same education, same experience, same knowledge), then it should be a good indicator to you that your negotiating skills need a brush-up. They’ve out-negotiated you, which just tells you that you could probably ask for more next time. But for this time, you’ve already signed it. Honor it and get excited for the future! I have witnessed a stage crew mutiny, demanding an increase in per diem from $40 to $50 a day by participants who all signed contracts agreeing to the $40 rate. I have seen a great technician argue for an increase in pay based on the income tax rate (he didn’t know so much of his pay would go to taxes, he said). I have seen artists demand Uber fees when the theatre is four blocks away from the accommodation. Put yourself in the producer’s shoes here – what is the benefit to giving in to any of these demands? You signed a contract, and they’re going to tell you that very quickly.